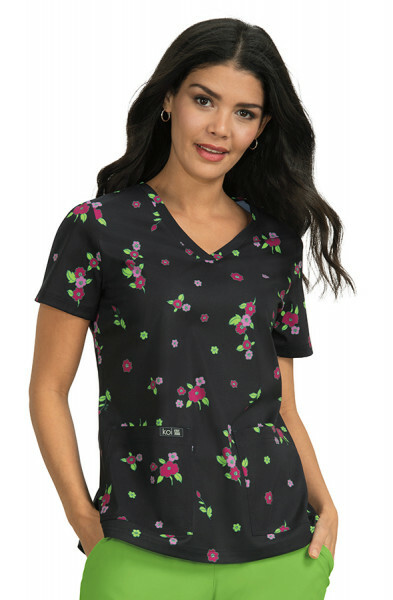 The Koi Ashley Top is part of the koi scrubs designer range. 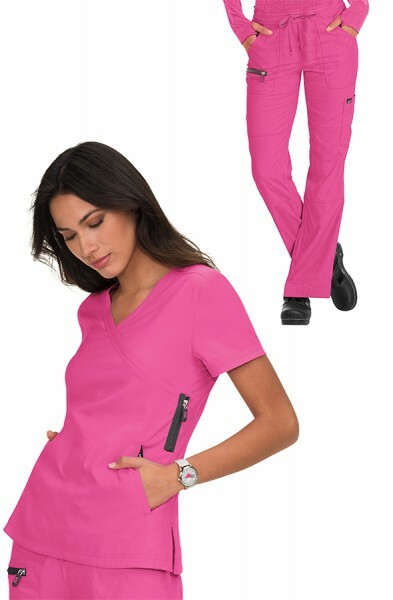 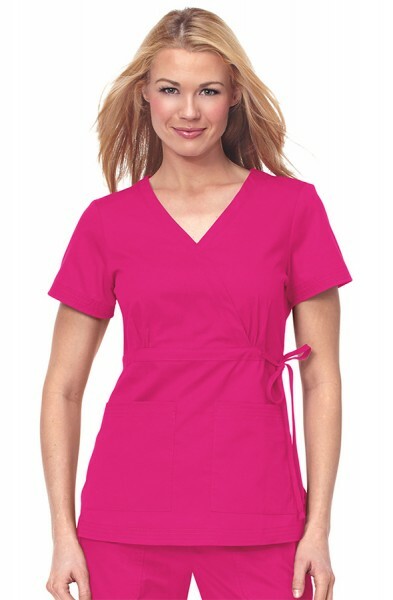 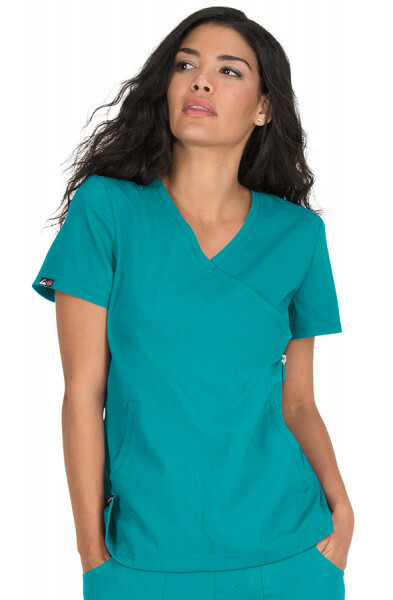 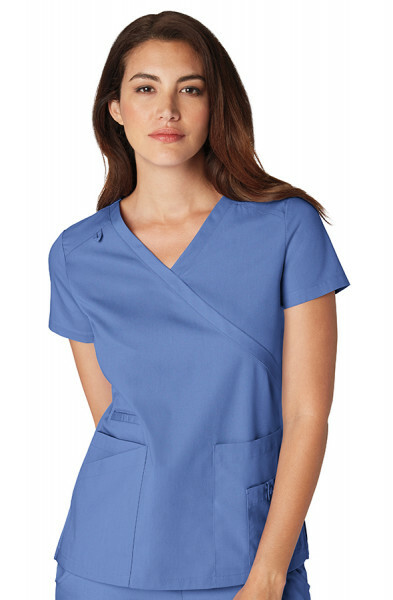 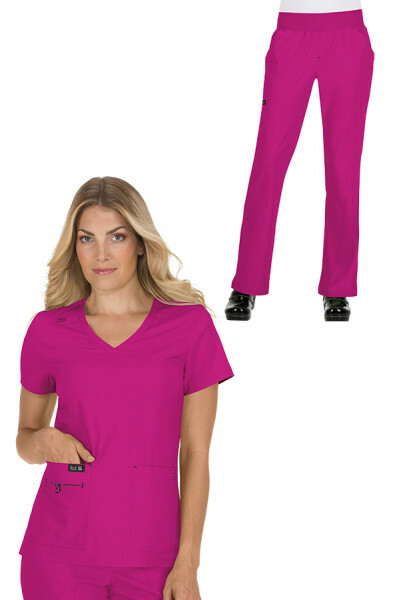 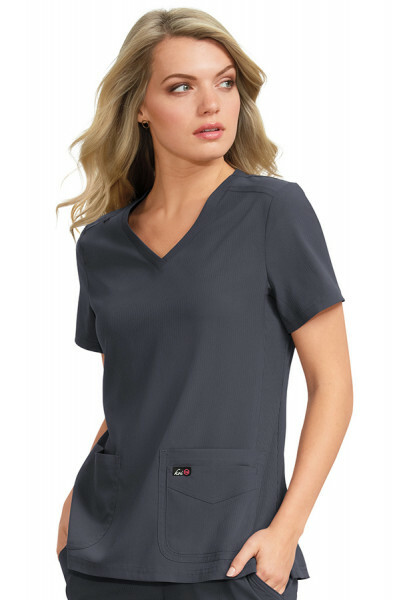 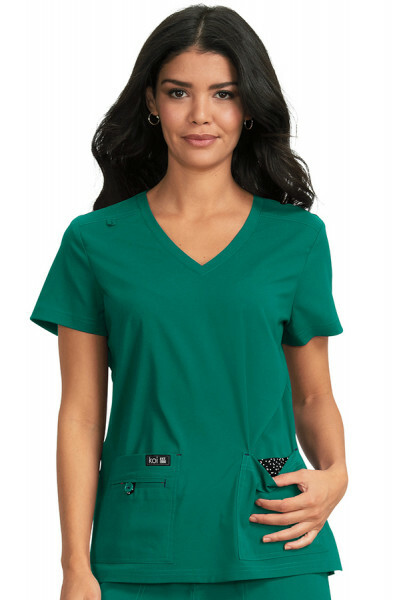 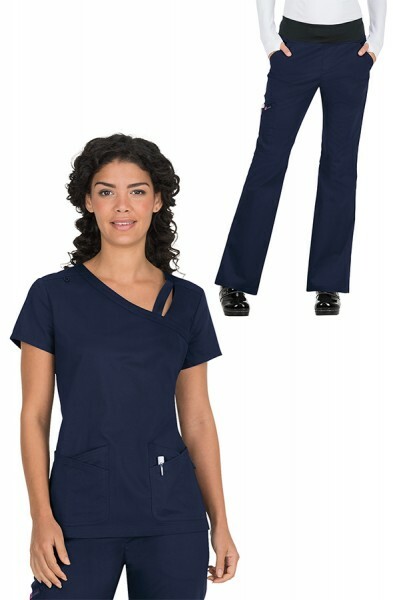 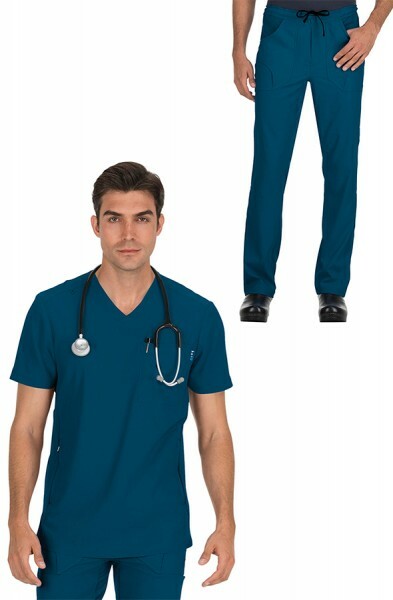 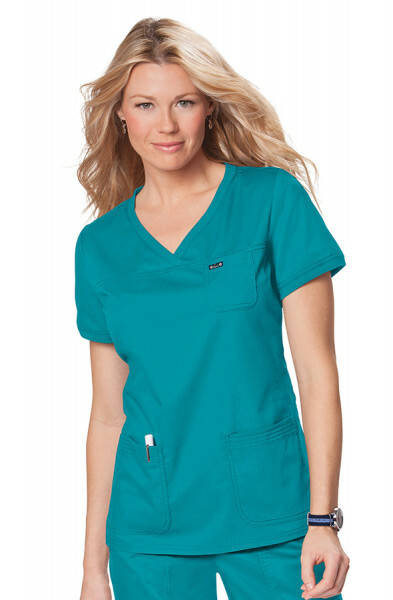 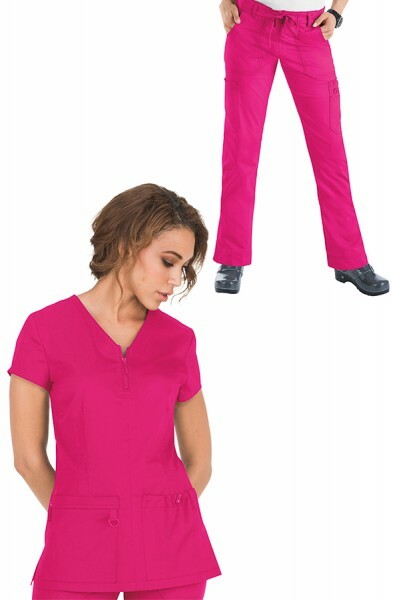 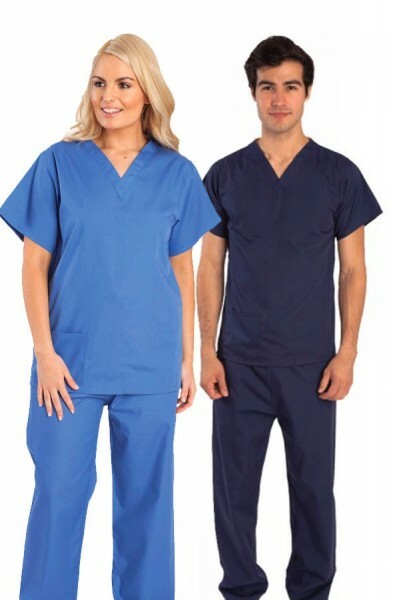 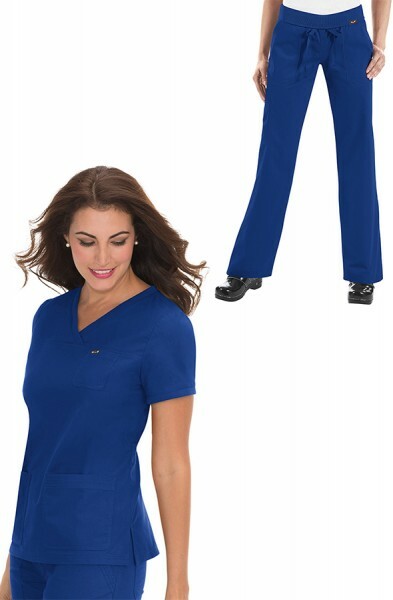 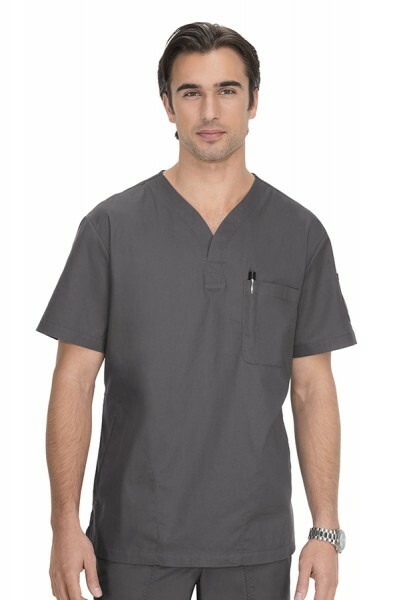 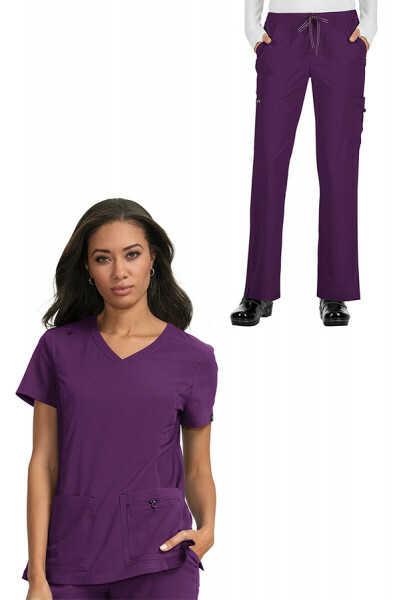 This scrub top has a simple yet flattering shape. 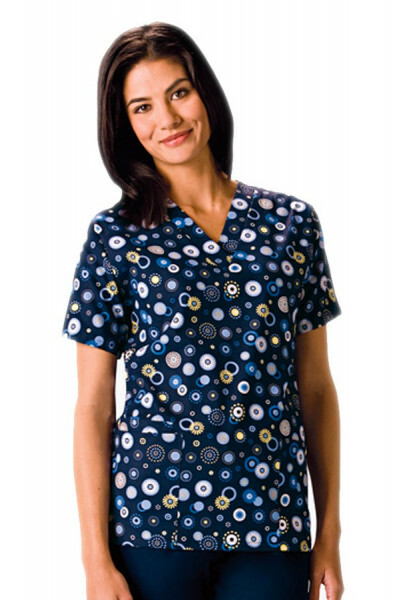 There is a beautiful floral button and koi logo embroidered on the left hand side. 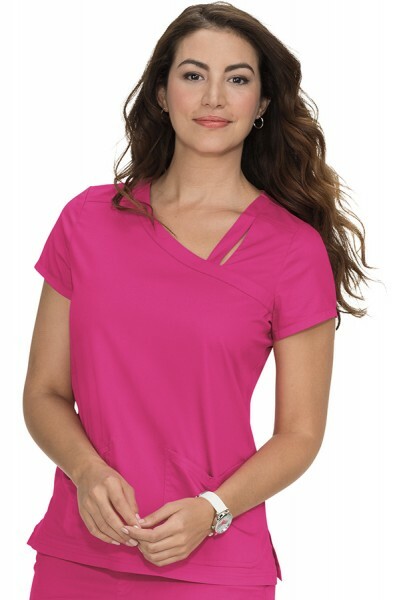 The neckline is a stylish v-neck with a stripe trim. 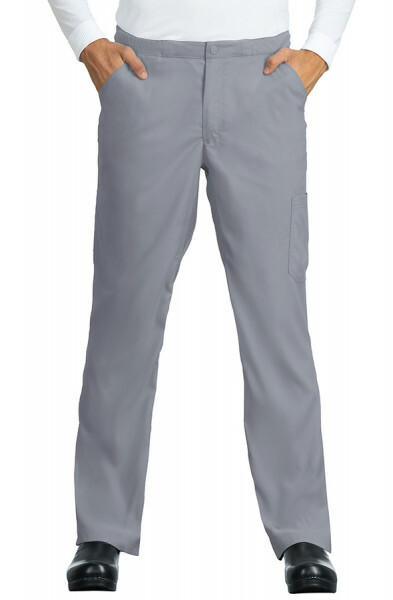 There are also two pockets and a chest pocket to hold all your belongings. 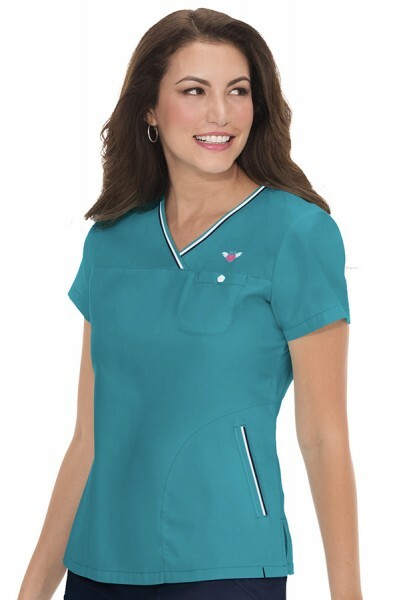 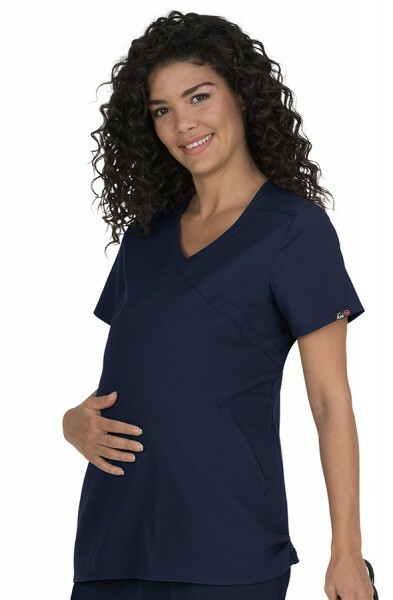 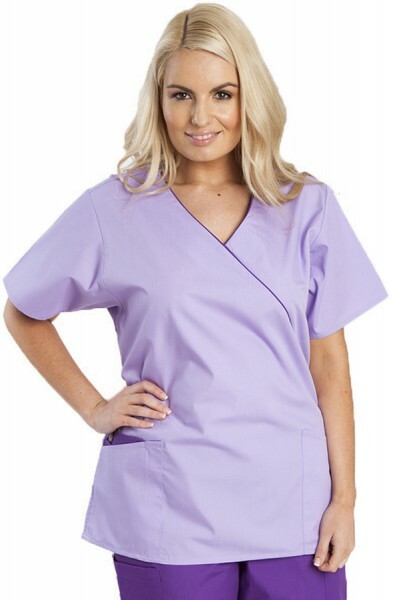 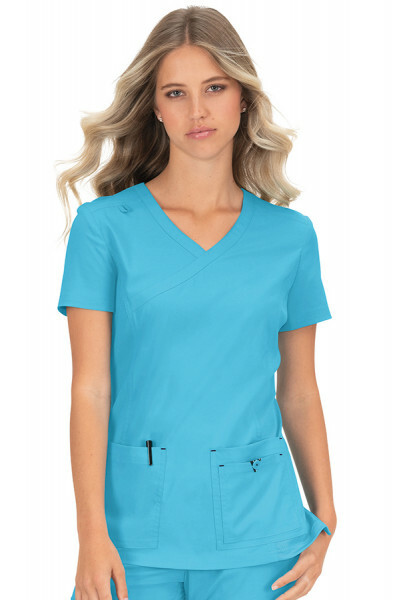 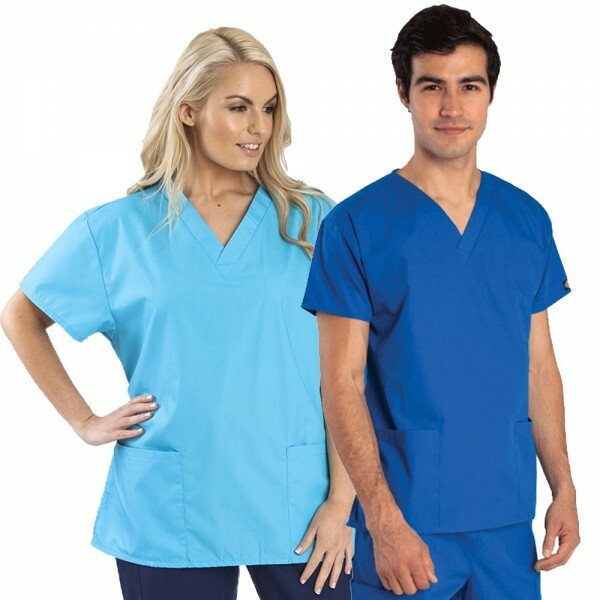 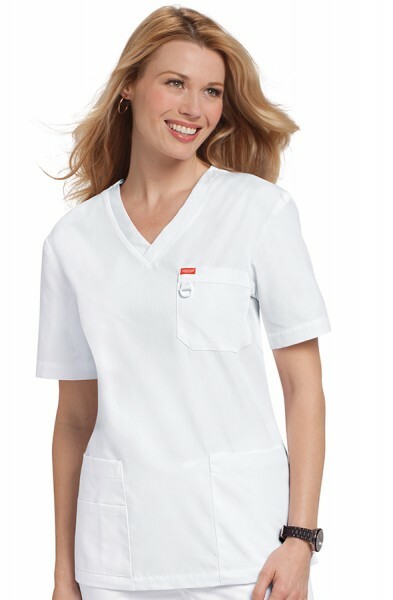 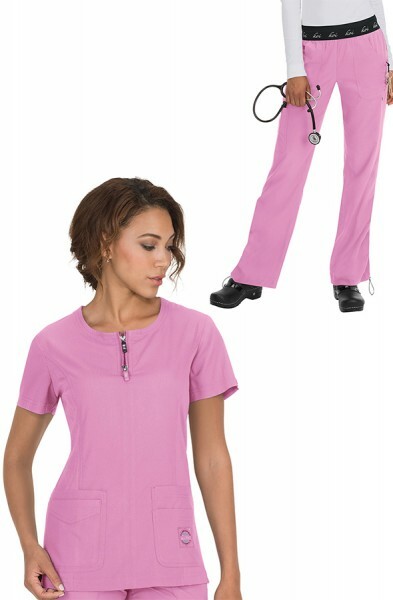 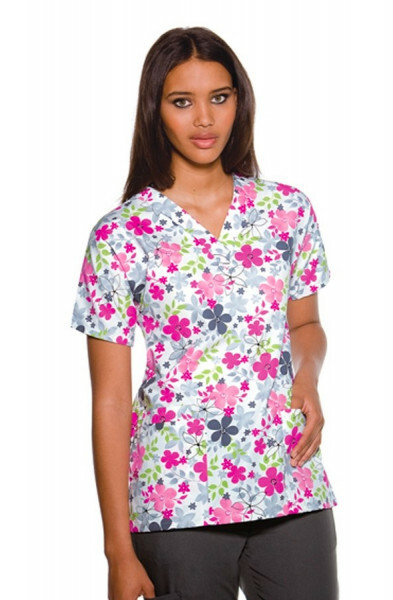 This scrub top is lovely and soft and very comfy, no wonder it is one of our best seller scrub tops. 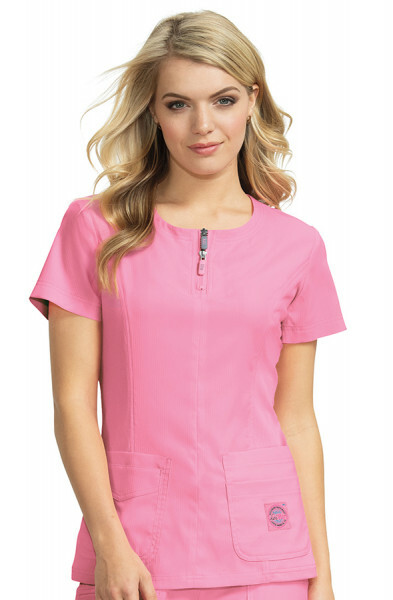 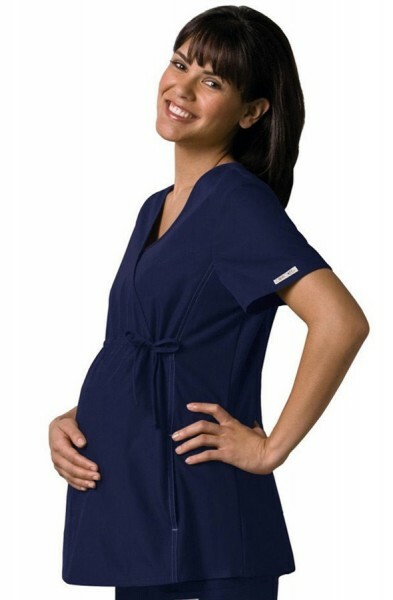 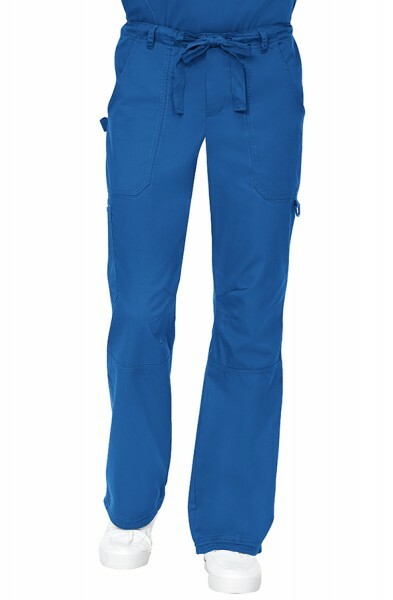 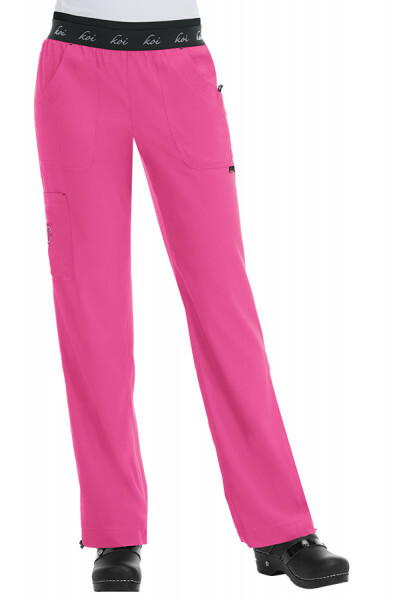 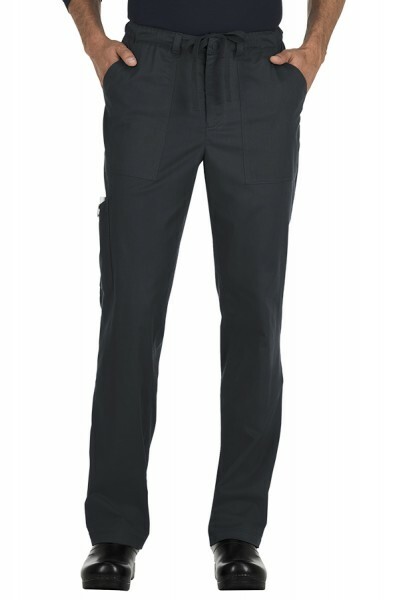 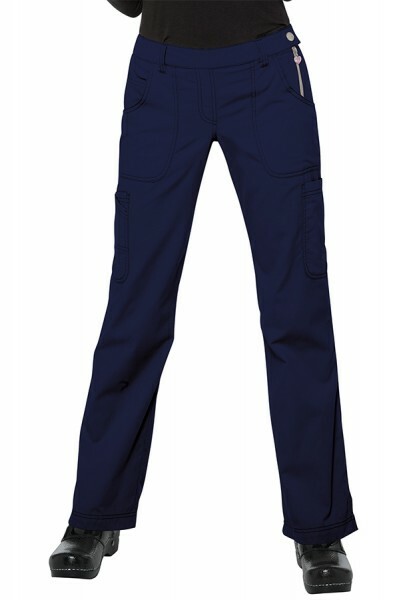 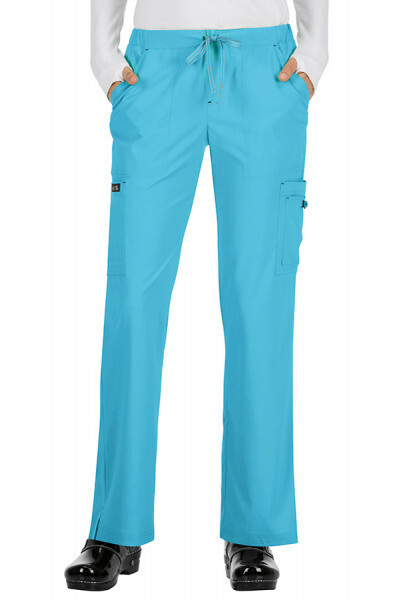 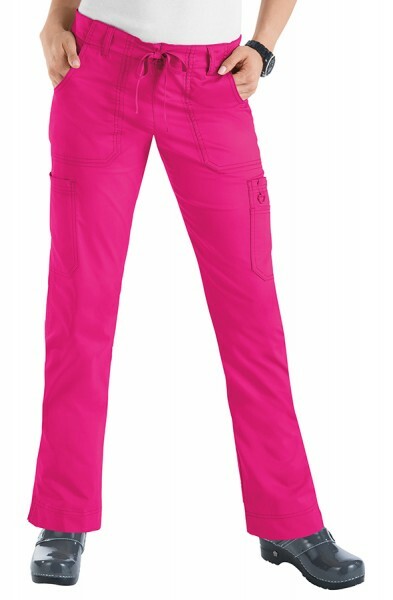 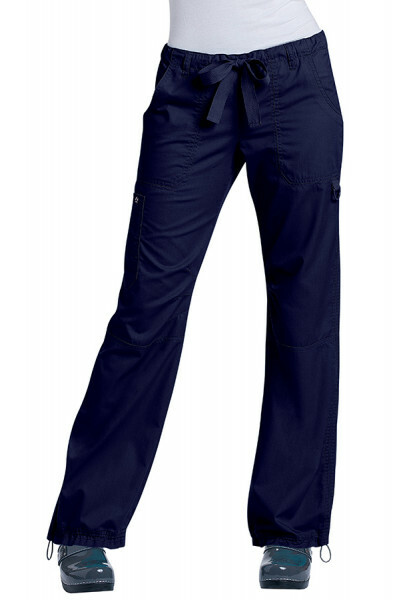 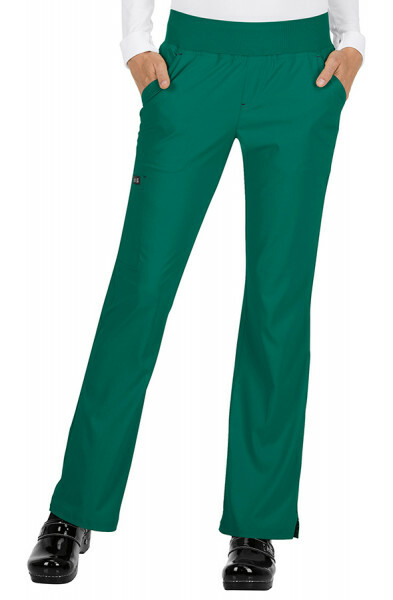 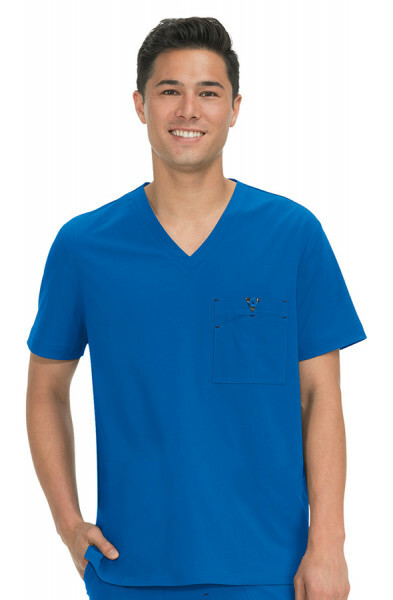 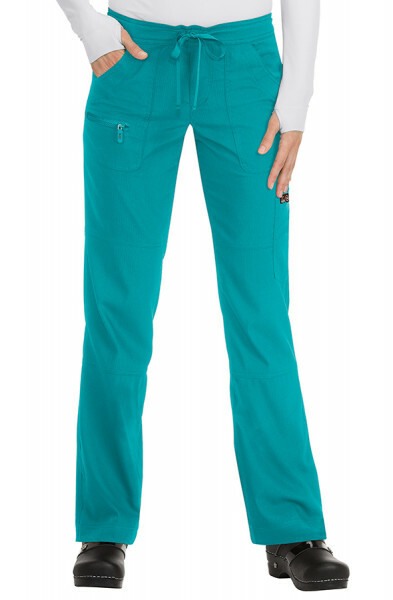 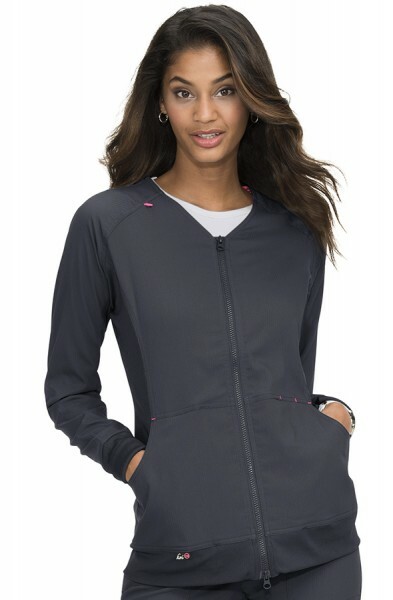 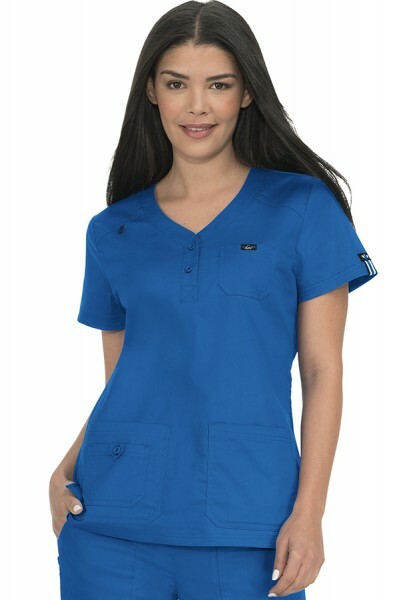 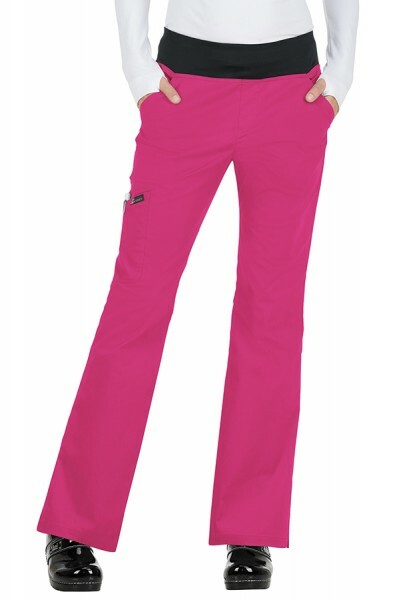 It is a very breathable, easy to wear top with an easycare fabric, made of 55% cotton, and 45% polyester soft twill. 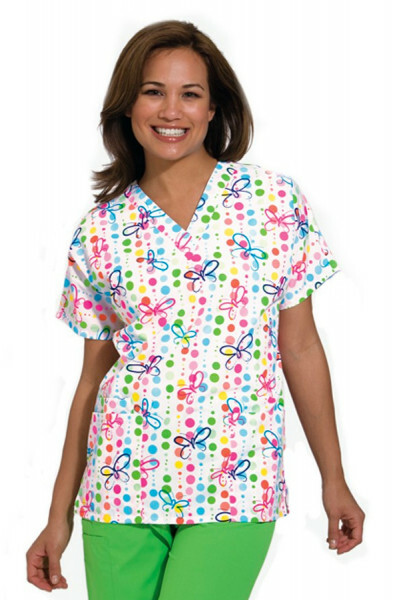 Customer review for "Koi Ashley Top"
Very prompt service, great quality and excellent futon size 10 and wear small. 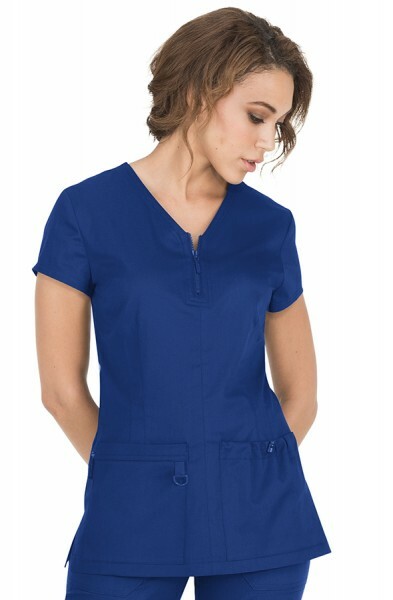 Love this top. 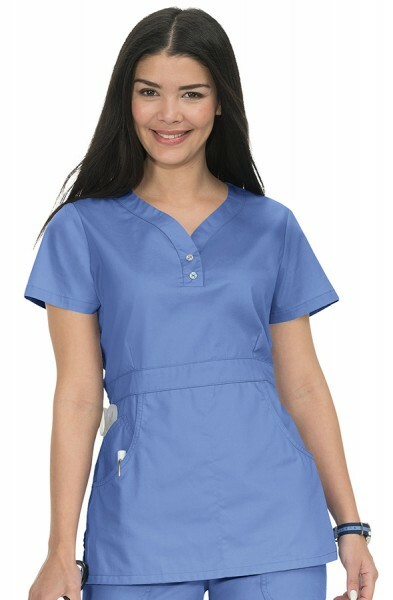 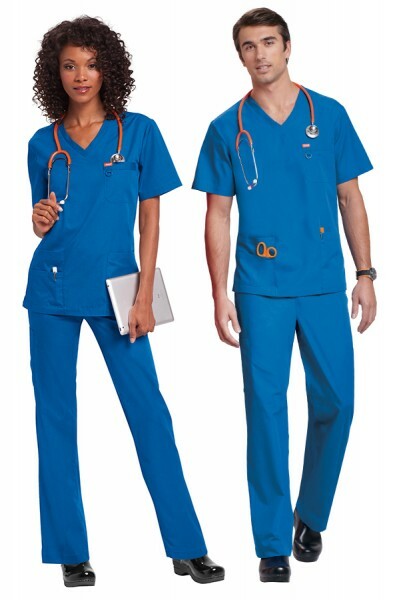 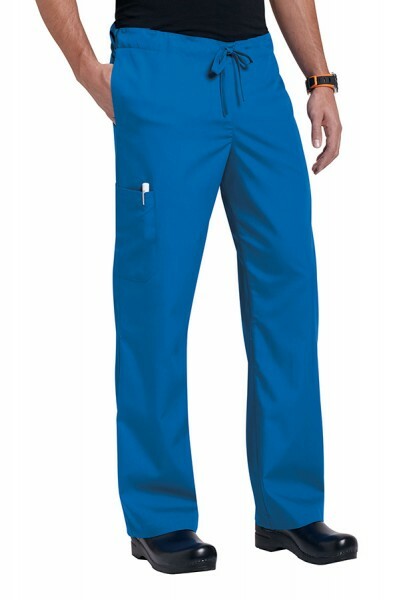 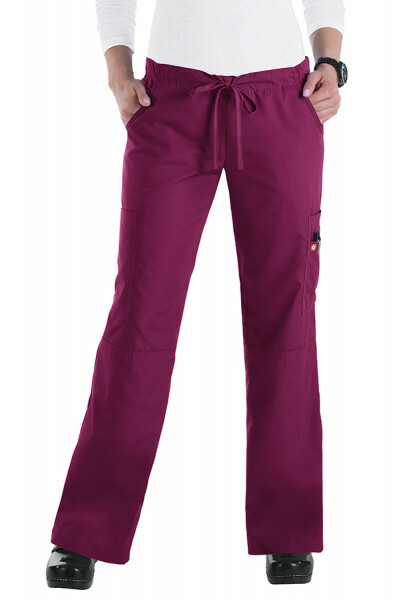 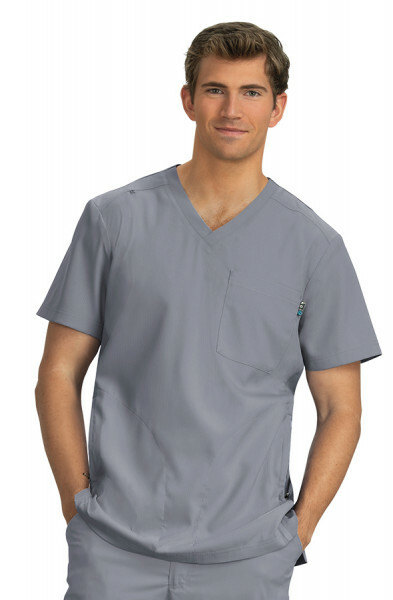 It fits tighter across the chest than other scrub tops. 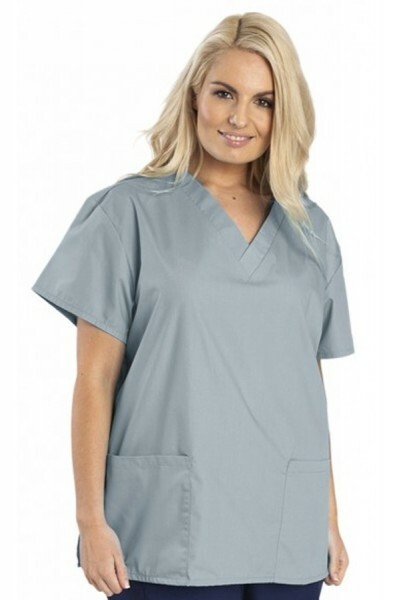 If you want a little extra room you might need to go one size up.